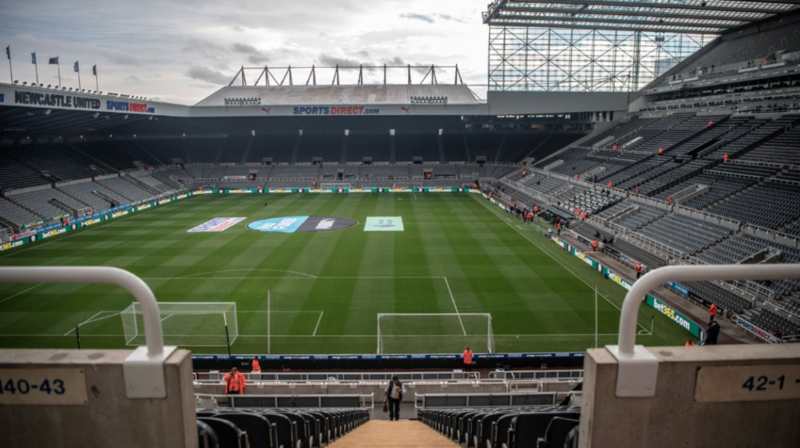 Huddersfield (H): Pre-match thoughts, team news & predicted line-ups – NUFC blog – Newcastle United blog – NUFC Fixtures, News and Forum. 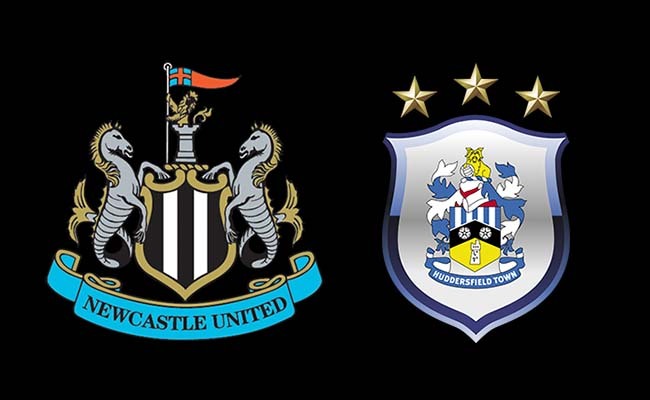 After hammering Cardiff and coming from behind to beat Man City in our last two league games at St James’ Park, you’d expect us to beat a rock bottom Huddersfield – but we all know that things at Newcastle never tend to pan out as they should! We’re on a solid run and have played much better over the last month, but the fact Huddersfield have won just 1 point from their last 13 games worries me. Why you may ask? Well, yes they’re on a wretched run and look as good as down, but this makes me fear that we might just underestimate them. There can be no room for complacency here. Some will be turning up expecting an easy 3 points and simply focusing on what could be Miguel Almiron’s debut instead, but that must NOT be the mindset. It may seem our most winnable game between now and mid-May, however we’ve generally been pretty woeful at picking up points at home this season – so no game is ever a given. Friday night’s results couldn’t have went any better either, with Watford hammering Cardiff 5-1 in their own back yard and Fulham losing at West Ham – meaning we could now go 11 points clear of the cottagers if we come away with a victory here. It’s a huge opportunity to gain another precious 3 points, with a win taking us to 28 points and potentially just a few wins from safety as we now enter the home straight. For once, Rafa has several selection headaches almost all over the pitch aside from Rondon up top – although I’d also argue that Dubravka’s spot in the side should be nailed on despite recent mistakes. The big ones are A) does he start Almiron and B) which two midfielders does he pick given Longstaff, Hayden, Ki, Diame and Shelvey are now all fit. Personally, I’m pretty confident he’ll start Almiron. He’s stated he’s ‘ready’ and up to speed and will also be aware of what a boost it would give the 52,000 around St James’ Park to hear that he’ll be making his full debut (with grumbles from the crowd also inevitable if he was named on the bench!). I think he’ll come in for Atsu, but what I’m struggling to predict is the midfield duo he’ll select. Longstaff is nailed on for me – and that says a lot about how good he’s been over the last month or so – but I fancy Diame to come in for Hayden. The latter has been superb, but he is a player that’s set to leave at the end of the season, while Diame is someone Rafa must hand starts to if his contract clause is to be activated. That aside, Diame has proven himself to be our most effective holding midfielder over the past 12 to 18 months also, so he deserves his spot in the side now he’s fit. As far as Shelvey and Ki are concerned, I don’t see either starting, with Ki not quite looking 100% in the CSKA friendly and Shelvey having only just returned to full training. Preferred NUFC XI – (3-4–2-1) – Dubravka– Schar, Lascelles, Lejeune – Yedlin, Longstaff, Diame, Ritchie – Perez, Almiron – Rondon. Aaron Mooy – A player I’d happily have at Newcastle if and when they go down and someone we must stop tomorrow, with him being the one player that makes them tick from midfield. He’s tenacious off the ball and very capable on it, being someone who rarely surrenders possession. Phillip Billing – The rangy midfielder caused us as much problems as anyone in the reverse fixture and is someone who will shoot on sight – something that could be used to test a potentially nervy Martin Dubravka. Predicted Huddersfield XI – (4-1-2-1-2)– Lossl – Smith, Zanka, Schindler, Kongolo – Hogg – Mooy, Billing – Puncheon – Diakhaby, Grant. Benitez has confirmed that Almiron is ‘ready to start’ but claims he’s yet to make a decision on him. Shelvey, Ki, Diame and Dummett have all been passed fit too, with Rafa stating that Clark and Elliot will be the only two players missing. I’m cautious about this one, but I do think we’ll be ‘at it’, believing that we are in too much of a precarious position to take this one lightly. Yes they look down and out and a side we should beat comfortably based on recent performances, but they’ve vowed to battle until the end – so we must match them and more stride for stride. It’s now the business end of the season and I believe this is exactly when the Benitez factor shows more than ever – with this being the exact sort of stage we really kicked on this time last year. An Almiron masterclass would be lovely, but the primary focus here has to be 3 points – and I think that’s what we’ll come away with. Cardiff getting beat 3 nil at home. Olly: you reckon Diame for Hayden? I don’t, but we’ll see. I agree that Almiron will start. I am sort of 70/30 on it though. Now, if Rafa had said Almiron had “trained well” I would be 110 %. Good day for us. A good Friday. No resurrection for Cardiff or Fulham. Aye mate, both dead ducks you’d think now. All of the pundits and journos will be having a w@nk into their coffee on Sunday (Sorry Kimtoon but there are no female football commentators, a Prime Minister or 2 and a few queens but not in fooball). I am actually looking forward to it. I like Klopp and Solskaer is pretty hard to dislike as well. Glad to see Poch giving Mike Dean what’s for. Dean knows he’s on 99 red cards and is scared to give the most obvious one ever. Spurs being Spurs and out of title now. Burnley safe. We have to win today. Twice now Almiron could of scored !! So, what can we do against 10 men ? Almiron and Perez both down injured at moment ! Kevin Friend. The Pete Postlesthwaite of Refs. You can see Almiron is good. ooh you was all hiding . They have 10 men. They will tire. DT: this match it is Da Do Don’t Don’t Rondon. you can’t believe Miggy , Perez and Rondon haven’t got one in the net. Hudders will resuffle and sit back , try to hit us on the break second half, needed to capitalize while we were on top . Watching it in Goa and my curry is being spoilt! Kimtoon: we should probably be like 3 up. How is this still 0-0..? Almirón is looking like a cracking player, but how good is Longstaff. He’s everywhere. We desperately need a goal, we must win this… it’s a few years since we’ve played against 10 men I think… we must make the most of this. I think we should attack more. Time for Jonjo? Huddersfield have only scored 6 goals from open play all season and 14 in total. Hayden is doing OK but how about another attacking midfielder? I don’t care which one, Ki or Shelvey. Lejuene playing his part in both goals too, we’ve missed him alright . Huddersfield look like they are playing with 9 traffic cops. how many chances ffs, desperate for migs to score, he deserves it. bugger, Almiron being subbed, i know it makes sense but i wish he’d got the goal he deserved. Hudders will be mighty relieved . Well done lads, job done. We should maybe have a look at Almiron’s strike partner at Atlanta. When I watched them it was Almiron who stood out but this guy Martinez was good as well. I have absolutely no doubt that Almiron will be our best player. Backed up by Lejeune and Dubravka. The commentator here said Longstaff reminded him of Carrick. Could be right. The future is looking brighter now for NUFC. I don’t think we will be relegated anyway.